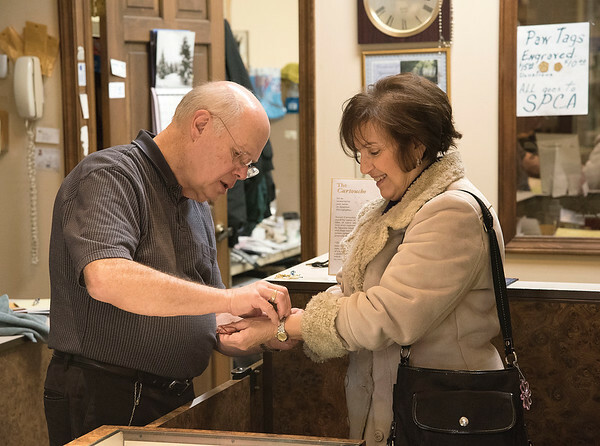 Town of Niagara, NY - Yaseen's Jewelers owner Dave Costanzo helps longtime customer Margaret Torcasio of the Town of Niagara with a watch purchase. Yaseen's is closing after nearly 114 years in business. Most items are now 50% off in an effort to sell off his inventory before a January 31 move out date.